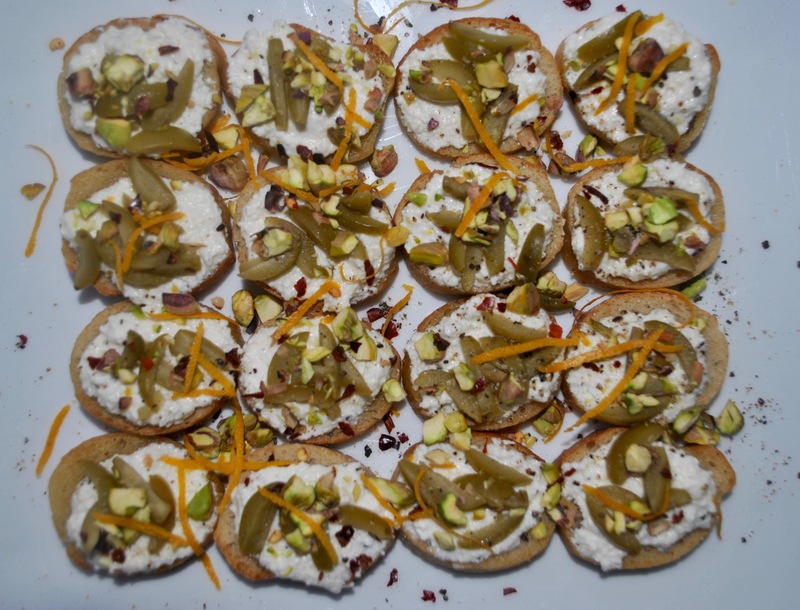 I wanted a simple appetizer to take to a friends wine tasting birthday party. Upon arrival, the bottle of wine I had brought was promptly placed in a paper bag and lined up along with all of the other bottles. 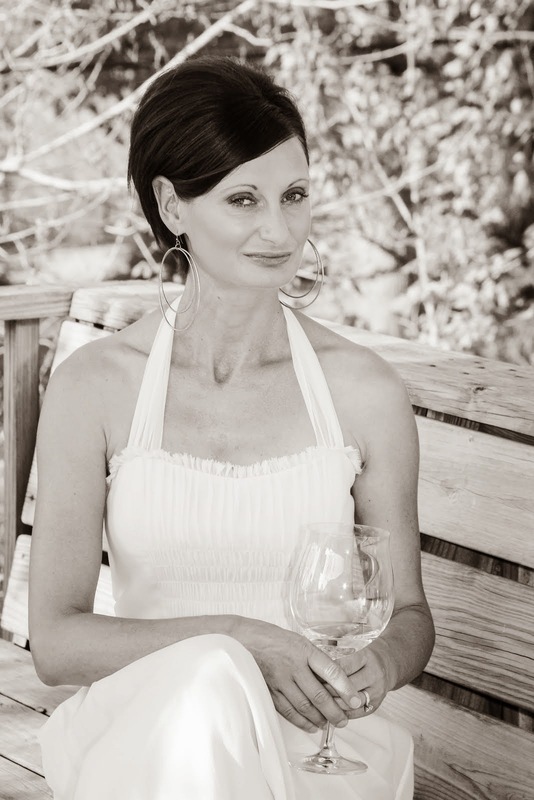 Throughout the evening wine was sipped and compared and commented on and votes were made. 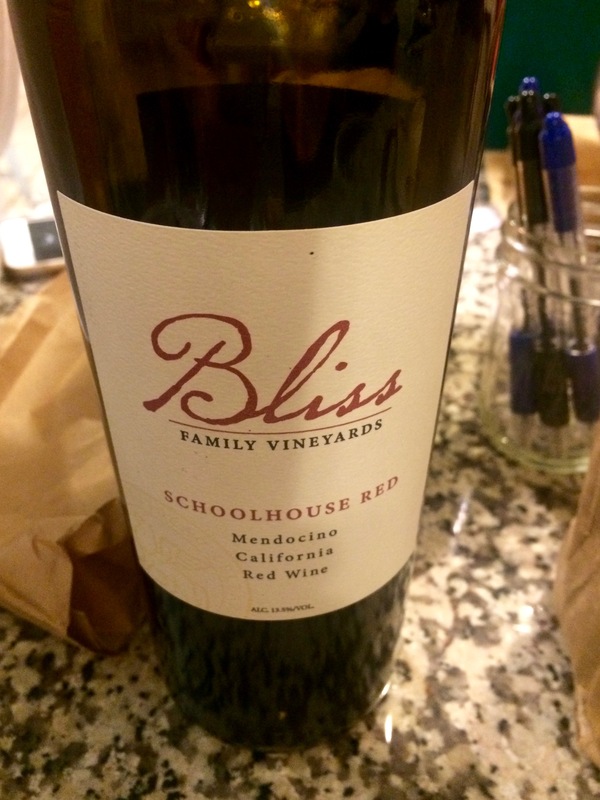 Results were tallied and a favorite from the blind tasting was decided upon – an 11 to 15 dollar bottle from the Bliss Family Vineyards, Schoolhouse Red – and prizes were awarded – a bottle of vinegar for the losing liquor. 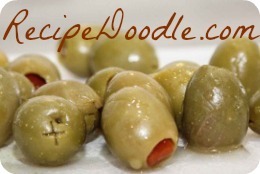 Chop 1/4 cup each of pistachios and olives, add olive oil, 2 tablespoons of chopped fresh parsley, 2 finely chopped anchovy fillets, the juice of 1/2 lemon, 1 teaspoon of grated orange zest, a pinch of chili flakes and salt and pepper. Mix well. Spread slices of toasted baguette with ricotta cheese and top with the olive mixture.